Summary: Houghton Garden was designed in 1906 by Warren Manning, a leading landscape architect who had worked in Olmsted’s studio before establishing his own. In contrast to formalistic notions popular at the time, Manning advocated a style of gardening that respected local conditions and native plants. 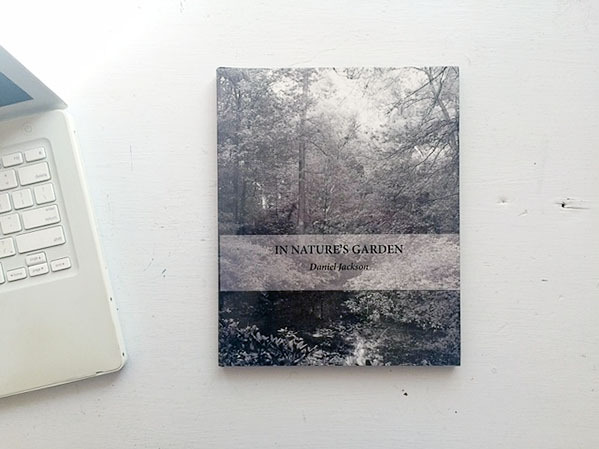 In designing a “Nature Garden,” Manning explained, the gardener “recognizes, first, the beauty of existing conditions and develops this beauty to the minutest detail by the elimination of material that is out of place.” In this collection of photographs, Daniel Jackson turns his eye to Manning’s garden with similar intent, mindful not only of the garden’s wild beauty but also of the precedent it sets for how we treat the world around us. iPL Notes: This book was part of the Photography Book Now competition. Published on April 18, 2016 9:51 pm.